Where Is the Profile Setting on iPhone? 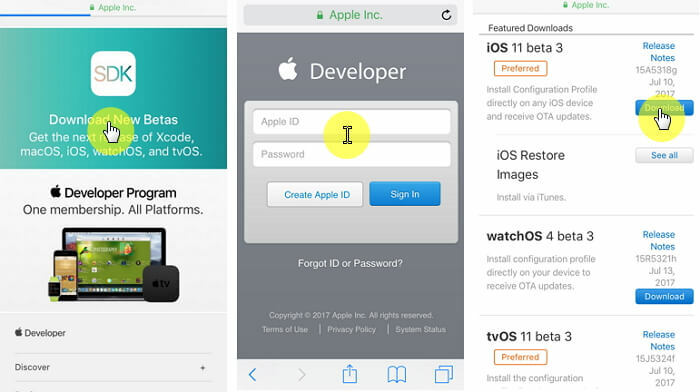 What Is an iOS Configuration Profile? It is also worth noting that these profiles can be installed on the device in a number of ways including using iPhone configuration utility software, a web page or an email message. A configuration profile that is causing problems on the device or that is not working as expected can be deleted from the device. You don’t actually create profiles; you install them on our device. Usually when you come across or want to use an app or a service that requires a configuration profile, the app or service will provide you with the files to install on your device. You can download the profile from a trusted third party and then be able to install and use apps that are not available in the App store. Therefore a common use for these configuration settings is in business, where businesses or large organizations will provide configuration settings o their employees to either configure their Wi-Fi network, email delivery or company specific apps. I have one profile installed on my device. It is an Apple Beta profile that allows me access to the developer releases of iOS. It will notify you that the configuration profile will be installed directly on the device when you choose to download the beta version of iOS. It is worth noting that if you can’t transfer or backup these configuration profiles. Even if you set up the new device from a backup, you will still need to reinstall the profiles from the original source. Where Is the Profile Setting on iPhone and Why I Can’t Find It? Like we mentioned before the configuration profile is found in your settings under “General.” If you go to “Settings > General” and scroll down but don’t find “Device Management,” it means you don’t have any device management settings on your device. You can also look for “Profiles” under Settings > General to see if there are any configuration profiles on your device. Profile setting will only appear if there is a security profile installed on your device by your MS Exchange administrator or if you are registered as an Apple iOS Beta Tester. How Can I Delete an iOS Configuration Profile? We also mentioned that when a configuration profile is not working correctly or is no longer needed on the device, it can be easily deleted. But it is also good to note that by deleting an active configuration you may inadvertently cause various functional issues with the settings the profile was meant to configure. For example, by deleting a Wi-Fi or VPN settings profile, you may interfere with connectivity. Step 1: Go to Settings > General > Profile. Step 2: Choose the configuration profile you would like to remove. Step 3: Scroll down to find “Delete Profile” and tap on it. Confirm the deletion. Step 4: Reboot the iOS device and the profile will no longer be on it.